There’s nothing in the world more important than your health – not money, not social status, not things, not even the people around you. If your health goes, so do you, and then it won’t matter what you own or who you love, because you won’t be around to enjoy it. Thankfully, there’s an almost unceasing number of steps you can take to maximize and secure your own bodily and mental faculties, each of them building upon and complimenting the other. One of the simplest of these (and one of the most fun, if you do it right! ), is the integration of dietary supplements into your daily routine. So many supplements, pulled directly from Nature’s own gift basket, provide powerful healing benefits to the end-user, with nearly one supplement existing for every letter in the alphabet. Take safflower oil. 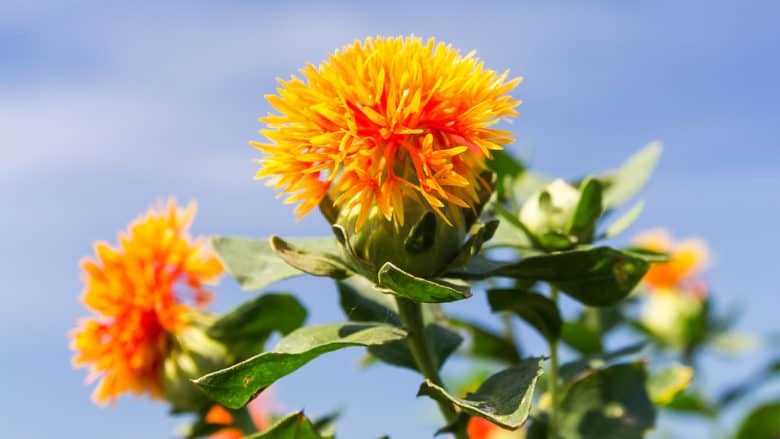 Used from antiquity as a flavoring agent in foods, a medicine, and a dye for clothing and various other substances, the safflower, and particularly the oil from safflower seeds, lacking flavor or color on its own, has always been a sought-after commodity. Fast-forward to the hectic modern world, and the only questions on most people’s mind will be “What is it?” and “Does it work”? Well, the short answer is “The results tell their own story, and it seems like a good one”. The longer answer is more complex. CLA Safflower Oil is a dietary supplement designed to tackle the pervasive obesity epidemic . While other regimens and solutions might have a similar end result – a skinnier you – they are often quite costly or extremely dangerous or life-altering to undertake (e.g. various surgical options). By contrast, supplementation with CLA Safflower Oil is a snap – just take as directed and watch it work like any other vitamin or dietary aid. a dietary supplement released for public consumption in 2016.
promotes a “guardian effect” in its users, which is to say that lean muscle mass is preserved in the process of preventing new extraneous fat from accumulating. may also have secondarily positive effects upon the user’s cardiovascular health. It’s important to note that the above-listed side-effects are inherent in safflower oil consumption, which means users of CLA Safflower Oil supplements will be exposed to them by definition, not simply because they supplement with this product – raw safflower seeds, for instance, would carry the same type of risk, albeit with varying levels. In any case, users should be on their guard when supplementing, the better to spot early signs. The ingredients are measured on a by volume, per-capsule basis, and their safflower oil content is self-evident. The stymieing issue is what CLA Safflower Oil’s “other ingredients” are. Nobody knows – nobody except the manufacturers, that is, and they’re not telling. Best guesses indicate that they help facilitate absorption by the body and / or that the shell (which is most likely gelatin of some kind) is a factor. It is worth noting that “raw ingredients” is as close to a statement as anyone can get from CLA Safflower’s inventors on this subject; this does not, however, mean that specialized lifestyle choices will find them acceptable. For example, if the gelatin casing for the supplement is of animal origin, this would obviously present a problem to vegetarian or vegan users. 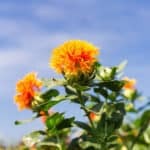 The safflower plant, including its oil, as mentioned at the beginning of this article, has had a number of uses throughout the centuries, from cosmetic applications, to industrial uses, to use in various herbal medicine traditions. The evidence of such usefulness even today can be easily seen by their inclusion in such supplements as CLA Safflower Oil. 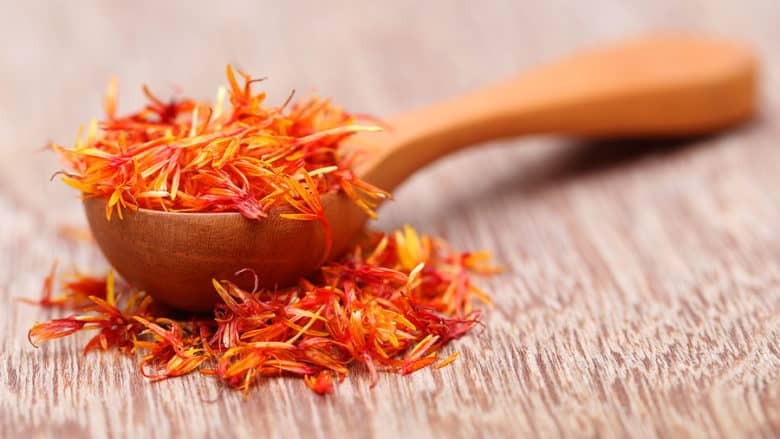 At this point, though, you’re probably wondering how safflower oil actually works. How it actually interacts with your cells and tissues in order to do the things to your body that the bottle (and many users of the supplement) say it can do. Well, this next section’s got you covered. You’re about to learn more about safflower oil than you ever thought you could. By the time we’re done, you’ll know exactly what you’re taking, and why. Let’s begin. The CLA Safflower Oil supplement’s primary mechanism of action is its ability to bind to the specific molecules which stimulate, accelerate, and aid in maintaining various beneficial metabolic processes. In other words, once consumed, the supplement releases compounds into your bloodstream which target specific bodily processes and then act upon them in certain positive ways. This is done on a molecular level. Let’s enumerate a few examples for clarity, shall we? CLA Safflower Oil supplements activate a compound within your body which, if you’ve taken high school chemistry, you’ve almost certainly heard of: adenosene triphosphate. Called ATP more commonly, CLA Safflower supplementation activates an ATP derivative called Cyclic Adenosine Monophosphate, or cAMP. Ordinarily, cAMP is simply one of many signalling and regulatory agents within the human system. But when taken in consideration of weight loss and related applications, cAMP becomes more. At its root, Cyclic Adenosine Monophosphate regulates and sustains the lipolysis process, which in turn regulates two major bodily hormones: glucogon and adrenaline. So, what’s all this about? Simply this: When everything is working like it should, you don’t notice much at all. It’s when levels are elevated that things show up on the radar. Ever heard of keto, or the ketogenic diet? How about Atkins? Adherents swear they use body fat for energy. Well, all that means is they rely on lipolysis — the burning of fat for fuel — to run their body rather than the glycolysis — the burning of glucose (sugar), usually from carbohydrate sources — most folks default to. Guess what CLA Safflower supplements have a direct impact upon? 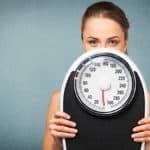 When things go out of whack via a disorder or some other fault, the lipolysis process can get messed up, and it doesn’t take too much imagination to realize that when fat is your main fuel source, a slow-burning engine makes it all too easy to pack on the pounds — or to get dangerously skinny if something smacks your “turbocharger”. Thankfully, the body is quite the sophisticated machine; such problems rarely surface. Meanwhile, you can think of CLA Safflower Oil supplementation as a muscle car’s air intake: It boosts a body’s normal process of lipolysis (without overdoing it and burning out the engine!) in order to switch your body over to a more fat-fueled orientation without the need for actual dietary changes. This, as you can see, will end up dropping off unwanted pounds at an accelerated rate while diminishing the probability and / or impact of obesity-related diseases at the same time. Secondarily and concurrently, safflower oil, the main ingredient in CLA Safflower Oil supplements (and so by extension, CLA Safflower Oil supplements themselves) quite literally melt your unwanted fat away. This isn’t magic, it’s metabolic science. Within the human body, there lies a particular brand of molecule known as the PPAR, or Peroxisome Proliferator-Activated Receptor. CLA Safflower Oil supplementation uses these PPAR molecules, themselves located in pure fat (adipose) tissue, can be thought of as switches: flip them, and bang – you’ve just turned on your inner fat-burning machine. Supplementing with CLA Safflower Oil does exactly that. Attentive readers will note that list items #1 and #2 play off of one another. While CLA Safflower Oil supplementation is working to accelerate a person’s lypolysis impulse, more molecules are doing their thing behind-the-scenes and flipping on the body’s PPAR fat-blasters. It’s a fat-loss twofer, and it’s all-natural! Next, CLA Safflower Oil supplements interact with your body’s own chemistry, triggering certain molecular switches to act as both a fat-burner and fat-barrier. You shed fat while keeping new fat at bay. Simply put, all that fat getting burnt off and accelerated away and turned into a waste product for your body, it has to go someplace. After all, supplements aren’t magic, they’re chemistry. As it happens, your fat is going someplace when it goes away, and that someplace is the same handful of places your body sends all its other waste products. But fat, in its departure, will give you something special just as it burdens you on arrival. On exit, all that unwanted fat you’ve just jettisoned via supplementation by CLA Safflower Oil will flood your body with an appetite suppressant so powerful you might just find food revolting if the portions are too big or timed too close together. Even as you burn off stubborn body fat, CLA Safflower Oil supplements will help make sure no new fat gets added to that quickly transforming waist. The only downside? No more extra-large pizzas for you! You physically won’t want (and probably won’t be able) to eat them. But hey, that’s why friends were invented! You should note that these changes won’t just be fly-by-night. They’ll stay with you for as long as you maintain your supplementation regimen. Your body is one of the most wonderful organisms ever designed by nature. It puts out what you put in, so given goodness, don’t be surprised when a steady metabolism, improved overall health, a shrunken waistline with relatively little muscle loss, and more are the output. Indeed, when you supplement with CLA Safflower Oil, the changes made to your body on a molecular and cellular level will be almost exclusively regulatory and metabolic. You will, without exaggeration, be well on your way to becoming a brand new you. It was there all along. You just needed a push in the right direction. Who Is CLA Safflower Supplementation For? Don’t just start taking this supplement or any other. Always seek counsel from your preferred medical and/or dietary professional before beginning such a routine. With that said, there are no abnormally injurious outcomes to the use of CLA Safflower Oil. Anyone struggling with obesity issues, runaway appetite, a stubborn metabolism with concurrent underlying metabolic issues, various health issues for which supplementation is deemed to be an appropriate aid (such issues to be detailed a little later) should have no problems beginning a CLA Safflower Oil supplementation routine, provided they are in good health, over the age of 18 years old (or of such an age as deemed medically appropriate), and cleared by a doctor and/or dietitian. What’s the Dosage for CLA Safflower Oil Supplementation? Can Supplementing with CLA Safflower Oil Help Me With any of My Other Health Issues? Possibly. The research is inconclusive, but hopeful. Here’s what it has to say right now. Body Composition Studies have yielded results which, as one might expect, have looked almost exclusively to end vs. beginning body weight. While this is certainly one measurement that you could take (and one which usually goes down a couple notches), but such studies usually end up showing that, while fat levels decrease when a CLA Safflower Oil supplementation routine is adopted, they also fail, almost universally, to acknowledge the role of lean body-mass composition in a subject’s overall weight; individual molecular, cellular, and metabolic processes are often glossed over. The verdict of such studies? CLA Safflower Oil is useful as part of a weight loss plan, but doesn’t work on its own. This, in spite of the presence of “bad apples”, is only logical – good diet, moderate exercise, and the like are only normal parts of a healthy mind and body. Safflower oil is, after all, merely a supplement to a healthy lifestyle, not the lifestyle itself. Diabetes Studies have yielded similarly inconclusive but hopeful results. 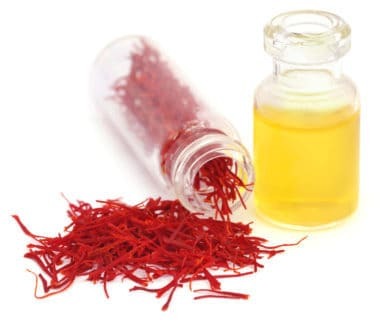 Safflower oil is of a type which lends itself to insulin sensitivity, which any diabetic can tell you is a good thing – it makes their “blood sugar radar” more sensitive and fine-tuned by allowing them to absorb the nutrition from food more efficiently, including various sugars. To counterbalance, there are also reports that eating safflower oil, including the oil found in CLA Safflower Oil supplements, at certain times (soon before and soon after meals, for example), can raise a diabetic’s blood sugar unhealthily. Hypertension kills, globally speaking, enough people that you could almost wipe out every man, woman, and child in either India or China. Over one billion people die annually from hypertension every year, to say nothing of its related diseases, like diabetes and stroke. Recent studies have shown that taking safflower oil, such as the oil available in CLA Safflower Oil supplements, along with a regularly-prescribed ACE-inhibitor or other blood pressure medication, may have a positive effect on blood pressure regulation – more positive, that is, than the results obtained without a safflower oil chaser. The exact reason for this remains unclear, but it may have something to do with the acronym in CLA Safflower Oil supplements, powerful information we’ll get to in greater detail in just a few moments. At this point, readers must be wondering where the catch is in all this. It isn’t like we aren’t bombarded daily with promises of miracle weight-loss solutions and energy pills and youth serums and so on, so why should a supplement like CLA Safflower Oil be any different? Well, that’s a good question – a question you’d be foolish not to ask. But as it happens, CLA Safflower Oil supplements carry a secret that, by definition, other health materials don’t contain and can’t take advantage of. Remember the PPAR molecule from earlier in the article? In addition to its aforementioned utility, it can also be signaled to inhibit the negative buildup of plaques and internal fats which promote cardiac diseases and conditions. Similar positive results within the diabetic community have been recorded, with a marked impact upon patients’ insulin sensitivity. In these cases, as well as the previous instances of PPAR interaction, it is CLA Safflower Oil’s Conjugated Linoleic Acid aspect which allows it to effect its changes upon the body in the way that it does. Conjugated Linoleic Acid is not well known outside of the medical and bodybuilding communities;  research into its uses and bodily interactions in various arenas is ongoing. So, is there a catch? Does CLA Safflower Oil supplementation pass the so-called acid test? Only the user, under the guidance of their medical and/or dietary professional can determine that. But armed with the information you’ve just read, at least you can forge ahead knowing that the Conjugated Linoleic Acid (CLA) in this supplement is science, not snake oil. Why use a Particular CLA Safflower Oil Supplement? The astute reader will probably have guessed this by now, but there are a few competing brands of safflower oil supplements on the market, all vying for pride of place on pharmacy shelves and in TV ad spaces. Medicine is big business in much of the world, and the diet segment is one of the biggest slices of the pie. So, why choose one brand over the other? Remember, you, the individual consumer, will be putting these supplements into your body on a daily basis, maybe for years. This guide is designed to help you understand what CLA Safflower Oil supplements are and what using them can, perhaps, do for you, but in the end, it isn’t a sales pitch. While the CLA Safflower Oil supplement discussed here ticks the majority of boxes on a patient’s list, the individual will need to make the choice about brands and labels on his or her own. The good news is that the same rules of common sense govern this decision as any other purchase – read closely, pay attention, consult the professionals, and then make an educated decision based on the facts. What is the ingredient breakdown of the supplement(s) you’re considering? How much safflower oil is contained within each capsule? What is its ratio to other / remaining ingredients? Many supplements use gelatin of a specific type in their casings / shells. Does this fit within your specific medical and/or dietary profile? If not, can you compromise, or else find a suitable replacement? To what extent does your chosen safflower oil supplement incorporate CLA, and thus, the CLA-based interaction chain within itself? Honestly, if you are unable to find an answer to this question, look elsewhere. Can you get the branded supplement(s) you’ve chosen in the specific dosages directed by your physician and/or dietary professional? Safflower content can vary significantly between brands, and dosage requirements can do likewise depending upon patient needs. Consider your choices carefully. What about FDA approval? I don’t see anything about the FDA! CLA Safflower Oil supplements are not yet approved by the U.S. Food and Drug Administration (FDA), but CLA itself has been recognized as an FDA-approved ingredient since 2008. At this moment, the supplements themselves are produced in FDA approved and regulated laboratory facilities. This doesn’t mean it’s shady or harmful – it wouldn’t be coming out of a lab overseen by the FDA if that were the case. Instead, you must remember that most people have never heard of the safflower. It has been eclipsed by a much more popular and more well-known family member: the sunflower. 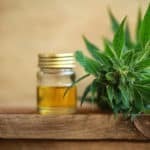 Similarly, regulations abound in government, and since CLA Safflower Oil supplements are quite new and not yet an OTC option, it may simply be an issue of timing. While research is still progressing in the weight loss space (and probably always will be, to our benefit), it can be confidently claimed that CLA Safflower Oil supplementation is a great step in the right direction. You should not expect immediate or miraculous results – it’s science, not magic, remember? – but taken faithfully as directed, the outcomes in the majority of cases will be pleasantly startling on a variety of metrics, inside and out.